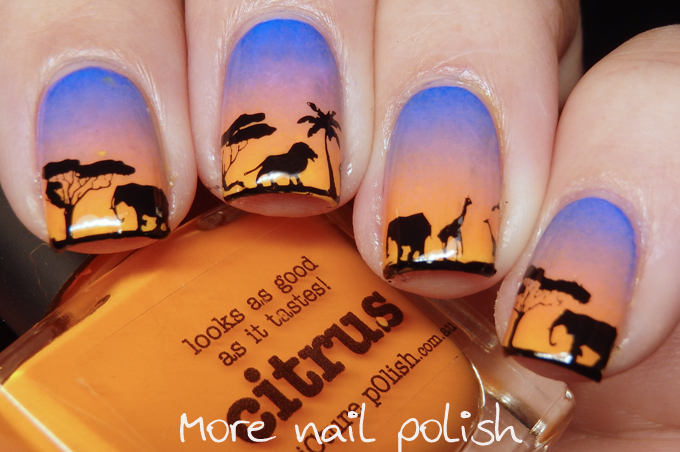 Welcome to Day 3 of the Digit-al Dozen Nail Heros week. 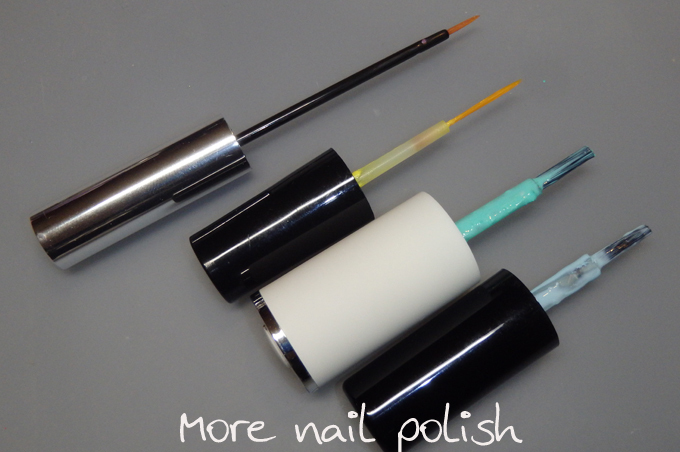 Today I'm featuring another product that has pretty much become an absolute must have for nail artists. Liquid latex nail barrier. Oh man, do I remember the time before latex barriers! It was basically sticky tape central where you would use tape all around your fingers to protect them when doing water marbles or gradients. It was awkward, slow and messy! Not any more, plus there are so many versions on the market that you are bound to find something easy to buy for you. Here are the brushes that I have for the various products, from left to right, Liquid Palisade, Nail Veil, Pure Manicure, Clean up crew. 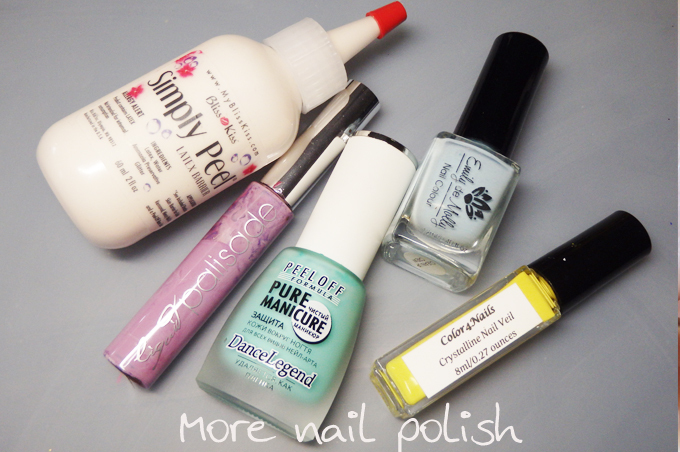 I haven't included Simply Peel here because I only bought the refill bottle, and I have poured it into my own empty polish bottle. I understand that you can now get Liquid Palisade in a wide brush now too. Now from my perspective, having latex barriers with both thin and wide brushes is awesome. 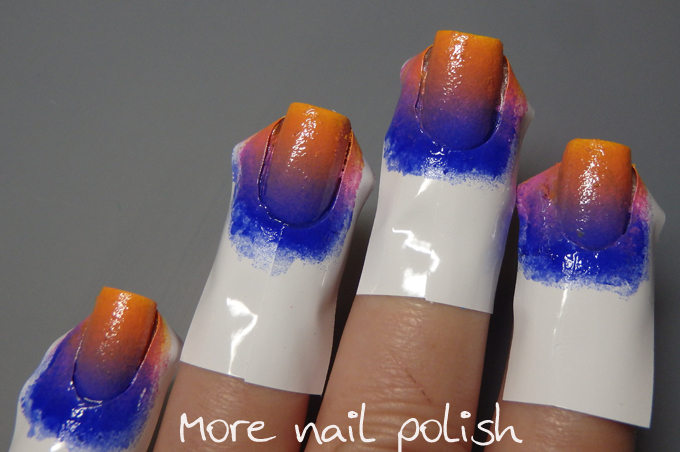 I use the fine brushes for masking out details on my nails and then peeling them off, whereas I use the larger brushes to paint around my cuticles quickly before doing messy nail art. Sure, using a thin brush to paint around your cuticles is a pain, and you aint going to be able to do fine details with a large brush. Colours, yes lets talk colours. I personally like my latex to at least have a tint to it when it's dry so it makes it easier for me to see the edge of it to peel it off with tweezers. What that colour is I really don't care. Simply Peel is basically transparent when dry with the iridescent glitter in it, so while it doesn't dry with a colour, when it's dry you can see the glitter sparkle and that helps define the edge. As far as these products go, they are all awesome. They all peel really well and don't leave any gross bits breaking off. My personal preference at the moment would be either the Dance Legend Pure Manicure or Simply Peel, because they are both nice and thin and very easy to apply. The other three products are much thicker to apply. But to be fair, the other three products are much older, like more than a year older than the other two, so that's probably why they are thicker now. Dry time? Again, these are all pretty similar, although the two thinner products did dry faster simply because I was able to apply a thinner layer of latex. Is there a down side to latex barriers. For me, no, but for someone allergic to latex then that's a massive problem. 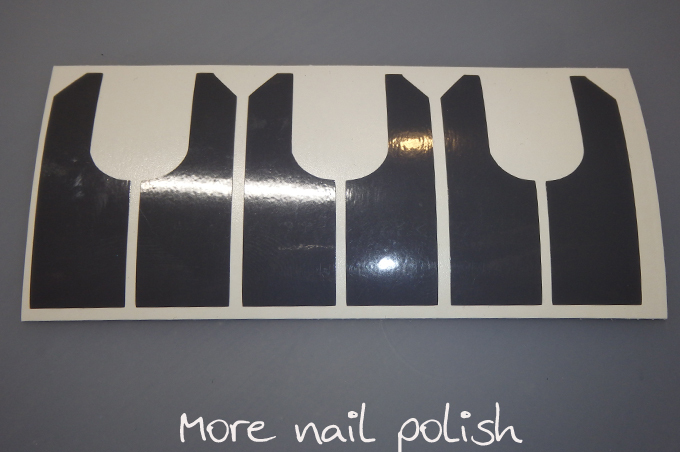 That's where vinyl nail aprons come in. I received these aprons from Loki's Nail Vinyls. Below I've photographed the dark grey larger ones I had, whereas I wore the white smaller aprons (it's just the grey was easier to photograph than the white). Nail aprons are applied to the nail in two pieces and they neatly fit around the cuticle line of your nail protecting your skin. 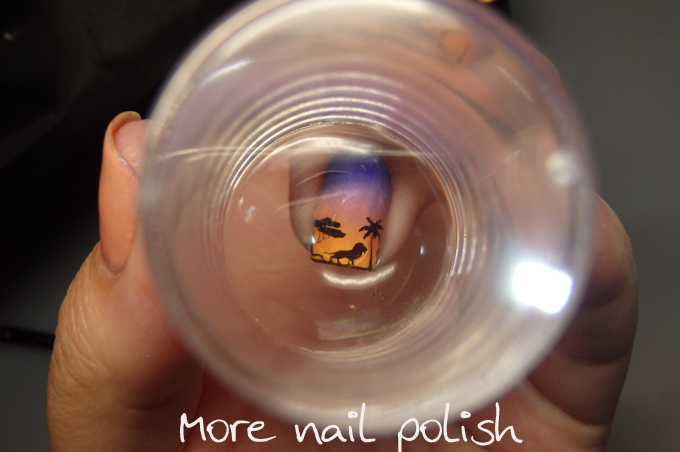 I little bit also wraps around under the tip of your nail. They are quick to apply and quick to remove. Removed. Nail aprons are also reusable, just stick them back onto the paper they were on and let them dry until next time. 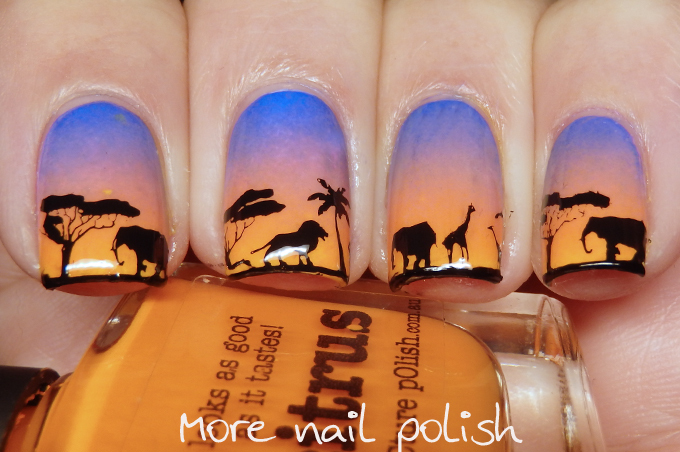 You'll get between 5-10 manis out of each set from my experience, or you could use one apron for all ten fingers. 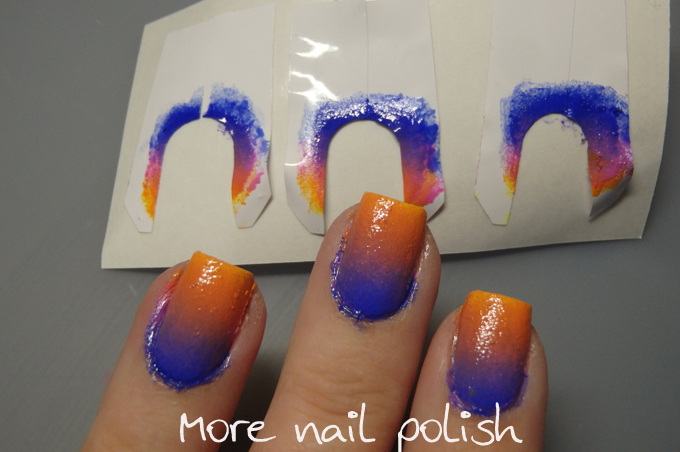 Finally, here is the mani I did with that gradient. 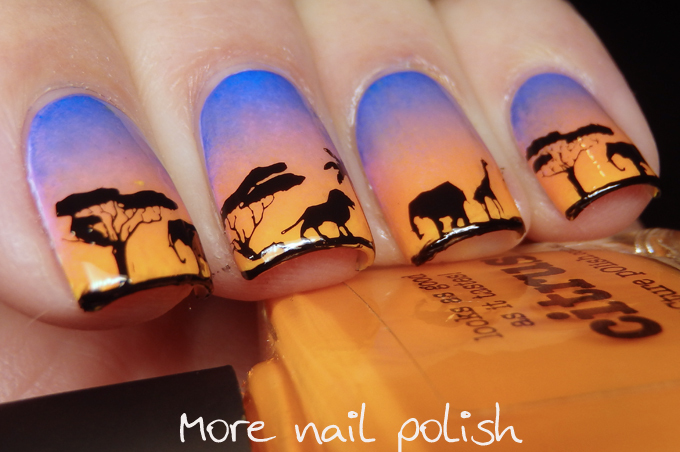 An African savannah silhouette . 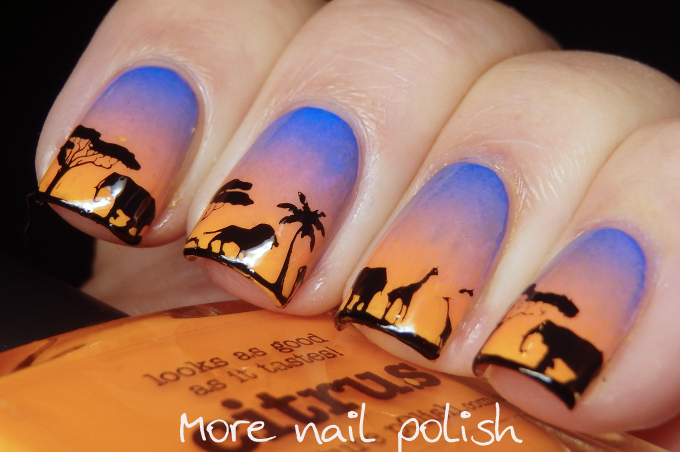 And just to reiternate yesterday's Nail Hero, all my stamping was done with a clear stamper. There are lots of other latex barriers out there, and many simply buy they latex products in bulk (in the USA it's known as hair glue) and use that. 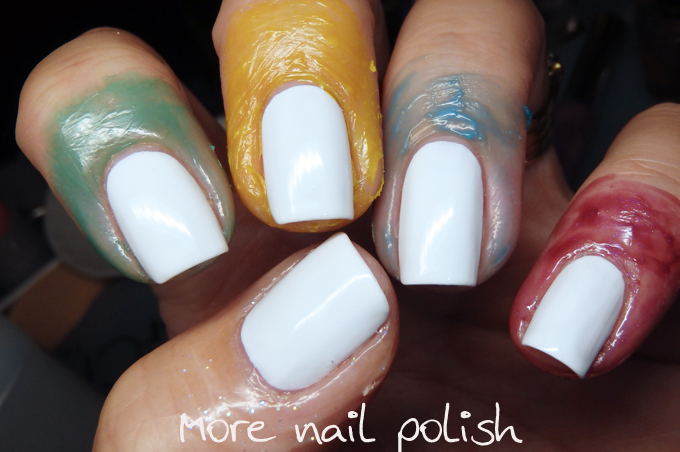 What nail barrier product do you use, and do you like it? Some latex barriers and nail aprons provided for consideration. Thanks for this post! I do have a question: which product do you prefer? 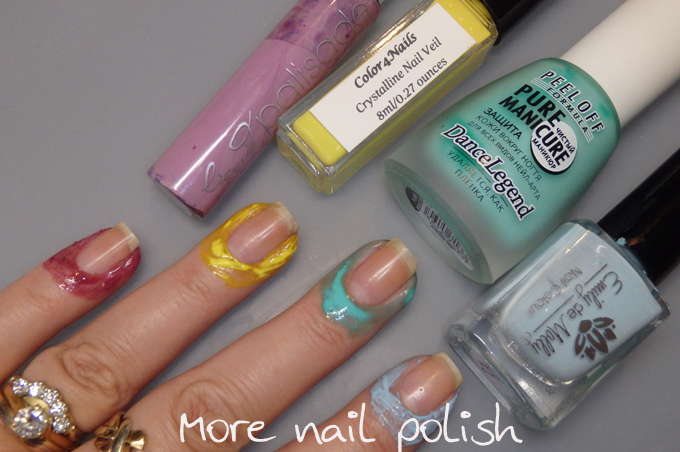 Even breaking it down by water-marble vs stamping vs nail-art? Thank you for this - I mostly appreciate knowing about the nail aprons!! Great review. I have the edm one buy haven't used it yet. This is a really great post! I just have a large tub of liquid latex that I bought on Amazon, but it's nice to learn about the other products out there!